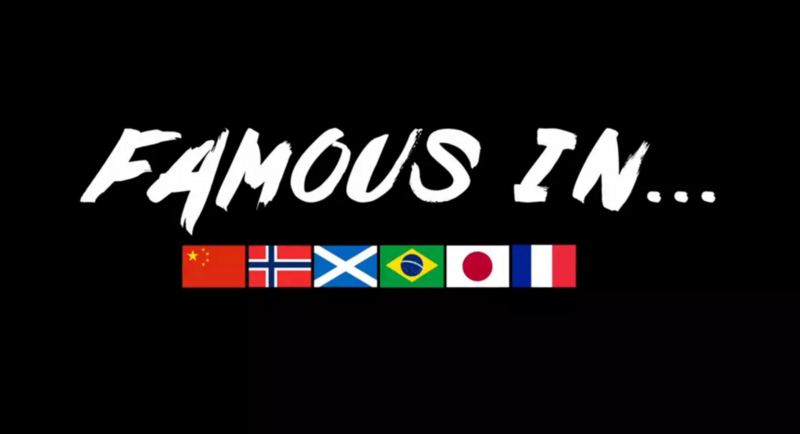 FAMOUS IN… is a travel docuseries pilot presentation exploring the lives of Americans who have hit it big in other countries — whether as actors, athletes, chefs, or entrepreneurs — and giving an inside look into their adopted culture through the unique lens of their newfound fame. Jonathan Kos-Read can’t walk down the street without being mobbed by adoring fans. Is he the star of the next Hunger Games? An NBA MVP? CEO of a tech company? None of the above. He’s an American actor who found stratospheric success in China. And he’s not the only one. In countries across the world, there are expats who you might never have even heard of who are living the dream in foreign lands. What frustrated them about trying to make it in the States? What was their breakthrough moment? When did they finally pack it up and decide to risk it all? Then we’ll spend a day in their lives and get an inside look into at what it takes to be a big deal in Beijing. Or Barcelona. Or Bengalaru (That’s a place — trust us. And it’s awesome). FAMOUS IN… All it takes is hard work, natural talent, a sense of adventure — and a passport! Posted on Thursday, July 28th, 2016 at 4:42 pm. Filed under: Selected Works	RSS 2.0 feed.